One can use the criteria used by Jeffrey Beall for determining predatory publishers. They were used to create the original Beall's list and are used now for the updated lists. 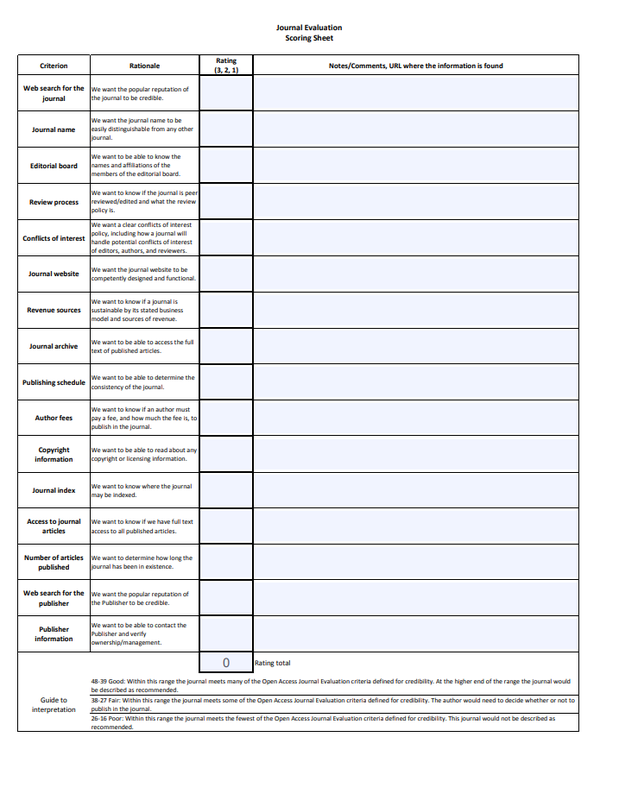 Journal Evaluation Tool is a scoring sheet that anyone can use to determine the credibility of a journal. Follow the simple guide written by the authors to score the journal of your choice. Rele, et al., LMU Librarian Publications & Presentations 40 (2017). List due to Shamseer, et al., BMC Medicine 15:28 (2017). Many predatory journals are claiming they are indexed by DOAJ and JCR Master List, while they are not. You should always check whether a journal you want to publish in is telling the truth. If a journal is indexed by JCR or/and DOAJ, that is usually a very good indicator that the journal is not predatory. Searching DOAJ database is quite easy - you just need to enter the journal's name, ISSN or the journal's publisher. Their search engine is quite flexible. Make sure to search through journals only, unless you want to find an open-access article (see picture below). DOAJ also offers useful information about the open-access journal, such as what are its publication charges and what is the average time from submission to publication. Searching JCR Master List is a bit more difficult. Sometimes when you enter journal's title it will not show up in the results. Therefore, it is recommended to use the journal's ISSN. 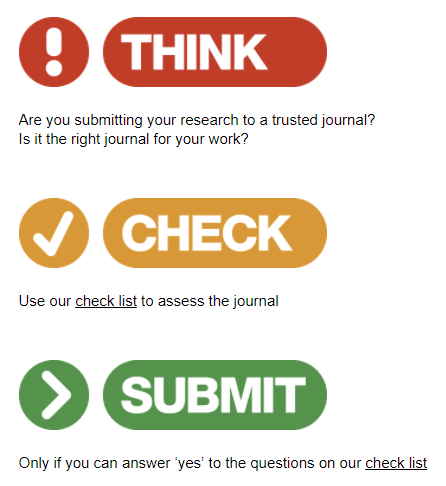 This website offers clear advises about how to publish in a reputable journal. They offer an instructional video, a checklist similar to the Journal Evaluation Tool and generally lots of good tips for checking the journal's credibility.